The European Association for Behavioural and Cognitive Therapies (EABCT) will protect your personal information and will not share it with other people unless you give your consent. The European Association for Behavioural and Cognitive Therapies (EABCT), is committed to protecting and respecting your privacy, and aims to be clear and open about how your data is used. We will not share your personal information with other people unless you give your consent. For the purpose of the Data Protection, the data controller is the European Association for Behavioural and Cognitive Therapies (EABCT), Lunettenbaan 57, 3524 GA Utrecht. Officers for GDPR are Katy Grazebrook, secretary of EABCT, and Dinie Naezer-Heerschop, association manager of EABCT, office@eabct.eu. 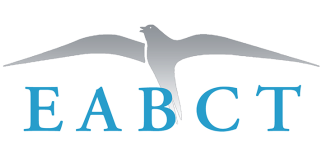 • Information that you provide by filling in forms on or from our site www.eabct.eu. This includes information provided at the time of applying for membership of EABCT, subscribing to our services, subscribing to our newsletters, surveys, or requesting further services. What data does EABCT collect? • For member associations: Name and contact details (such as address, email, website, telephone). • For representatives, presidents and contact persons of member associations: Name and contact details, your role (for instance, representative or president), your photograph..
• For board and committee members: name, address, email address and bank information and ID (in which the data contained on your identify document) if applicable, and for the period the board or committee member is in office. We need this data to process payments, register at the Chamber of Commerces, and or other legal issues. • For subscribers to our Newsletter: Names and email addresses. • If you subscribe to our newsletter, we use this information to send you our 2-monthly newsletter. You can unsubscribe at any moment. • And naturally we want to address you personally when we send you post and news. As well as use the correct (email) address. • If someone else signs an agreement on your behalf, we want to be sure that he/she has permission according to your associations’ rules to do so. So we keep a record of who is authorised to represent you on behalf of your association. (This only applies for associations which are in the process of organising an EABCT congress). • Boei 17, our website host. • Mailchimp, our Newsletter host. • VGCt, our office host. EABCT’s data is stored on the VGCt server.